Hello ladies! Another gem I found through instagram is this hottie, Patricia. She's so pretty and I found out we have a lot of similarities, both nurses from the Philippines now residing in the US and is very much in love with makeup! She's blogging over at Fashion Lust. What up pretty ladies! 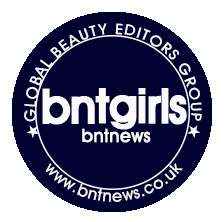 Before anything else I would like to thank Joanne for having me here, it really is a great pleasure to be featured in her blog and inspire others like she does. I am Patricia, 21, I am a Registered Nurse originally from the Philippines but I am now living in California for a couple of months now with my wonderful husband. I love to go shopping clothes and make up. I feel like I can’t get enough, for sure I’m not the only one who feels the same, right? So let’s just say it’s normal for us girls. ;) I also love to watch Make up and DIY tutorial on Youtube. One of my Fave Make Up vlogger is Michelle Phan, if you haven’t seen her videos yet, trust me, YOU SHOULD. 1. KOJIE Sun Block- Before putting anything on my face, I make sure that I put Sun Block on first to avoid sun skin damage like dark spots and premature aging. What I love about this product is it is lightweight and when you apply it on your face; it will not make your face look white like other sunblocks do. It blends on your skin well too. 2. 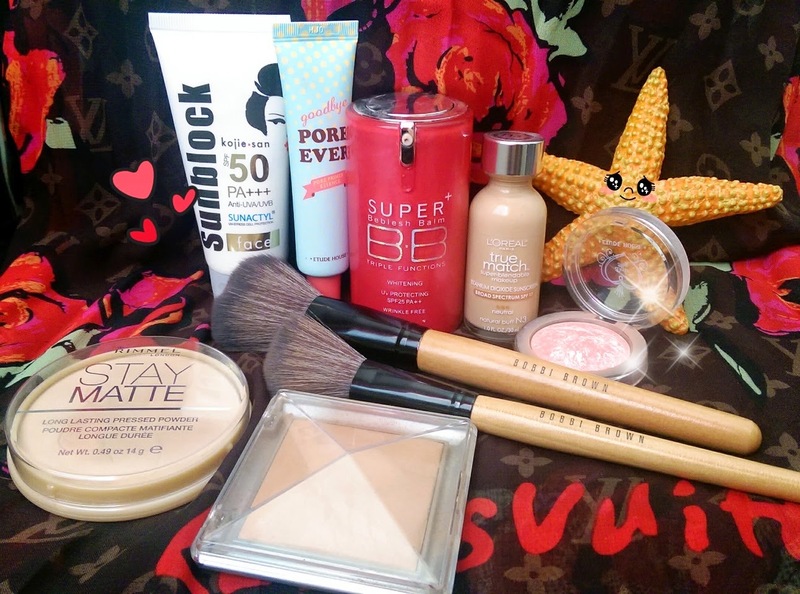 Etude House Pore Ever -I’m so in love with this product. I use this product as primer; it helps to make pores less visible and serves as the barrier between my sunblock and my foundation. It makes your skin so smooth right after you apply it on your face making the foundation easier to blend on your skin. 5. Rimmel Stay Matte Pressed Powder- And this is what I use to set everything in. It will help the products I applied to stay for long hours. And also it is so cheap for such an awesome press powder in the market. 6. Physicians Formula Baked Pyramid Bronzer -Contour them cheeks on :D. And also the sides of your nose and chin. 1. Mac Eyeliner in Dark Brown – always remember girls, the thicker the brow, the younger you look. 2. 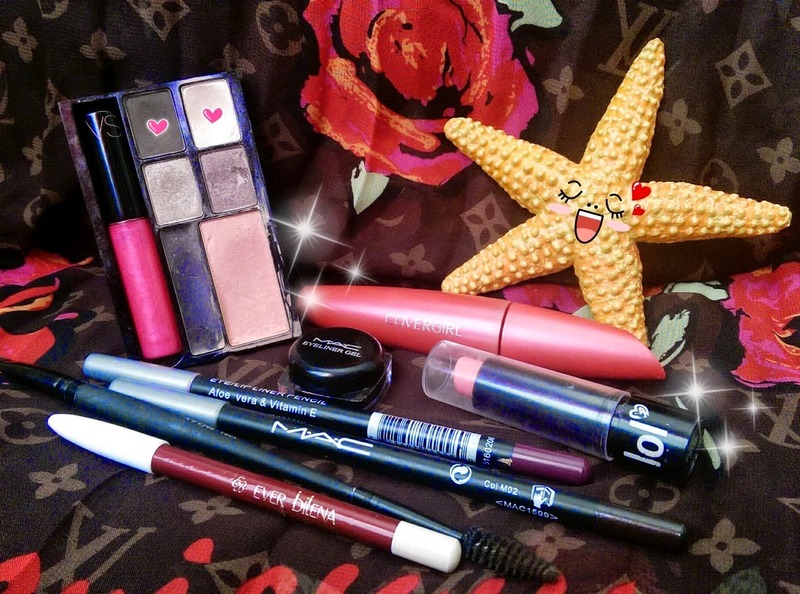 Victoria Secret On the Go Make Up – I love using this on my eyes, I put the lightest color on my eyelids and the darkest color on my crease then blend it away to create a Smokey effect but not too made up look. 3. 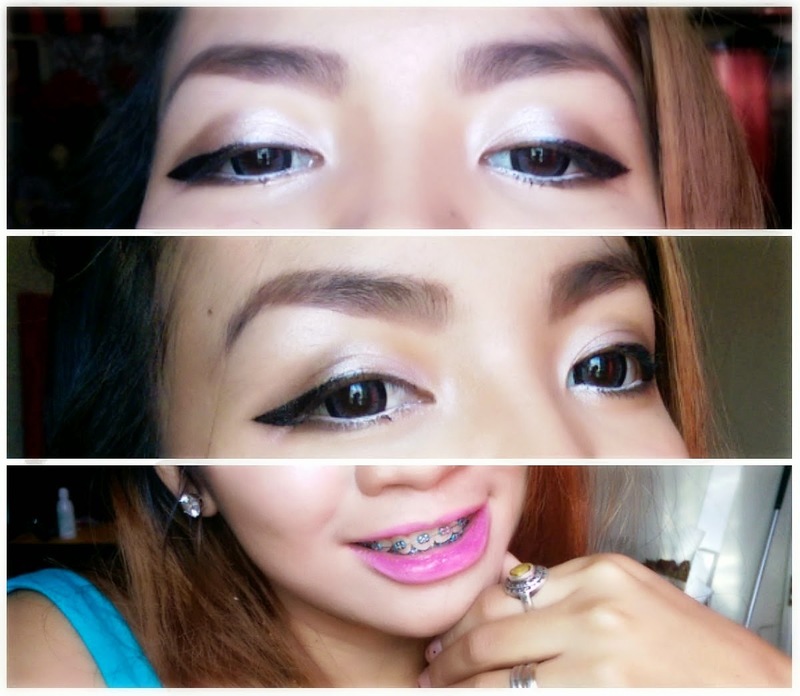 Everbilena White Eyeliner – line your waterline to make your eyes more alive. 4. Mac Gel Liner – I love using liquid eyeliner too but this time I used gel liner, use this to create a wing on your eyes making your eyes look dramatic. 6. 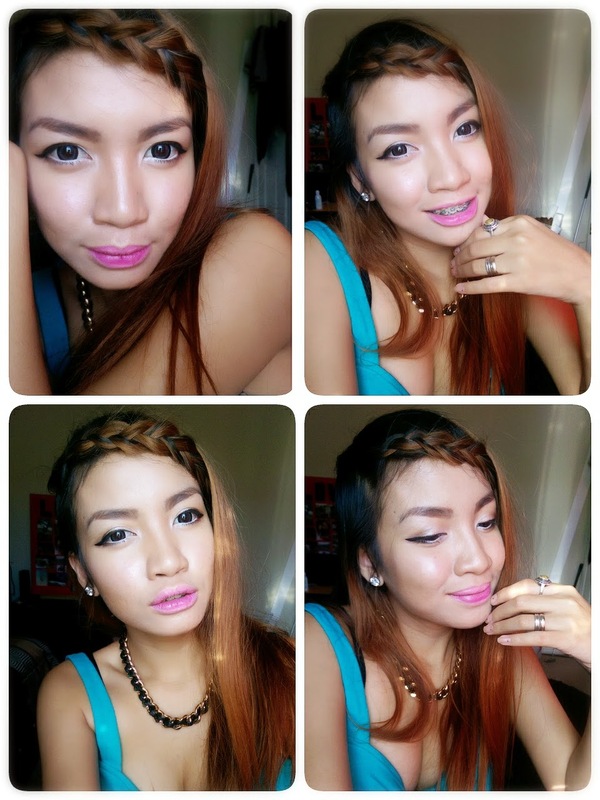 Lol Pink Lipstick – Oh I am inlove with pink lipstick, it can make you look so youthful and innocent. 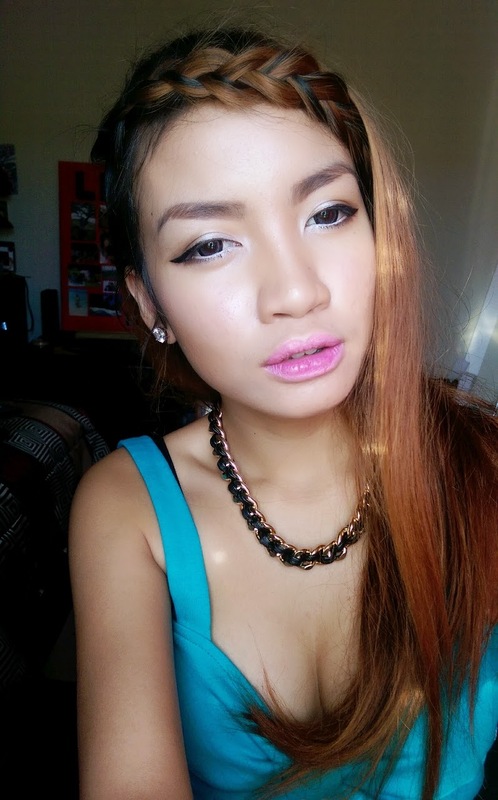 You can never go wrong with pink lippies. 7. Mac Lip Liner – and to add some drama on my lips, I will put some lip liner on the inner portion of lips to create an ombre effect. Going back to my Make Up Look, what I love about this look is that you can wear it on casual date, at work or pretty much any occasion you may attend. Always remember that Make Up is use to enhance your beauty. And your Smile is always the best asset on your face. SMILE, because YOU ARE BEAUTIFUL.